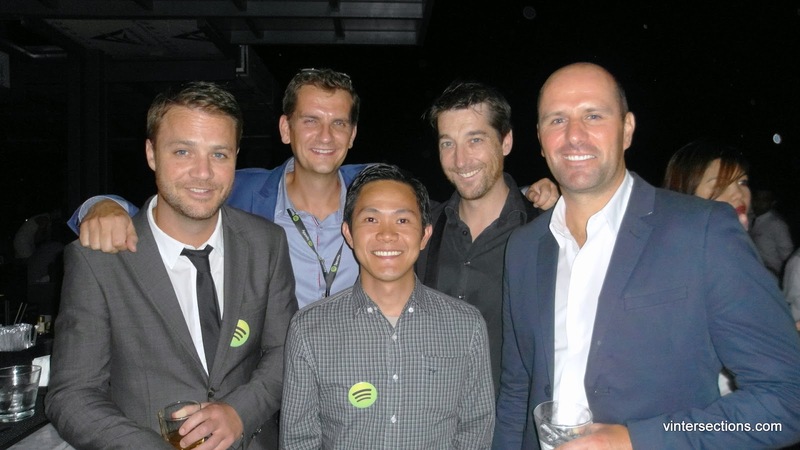 Spotify, the world’s most popular music streaming service, was launched in the Philippines last April 8, 2014 at 71 Gramercy in Makati City. The very comprehensive music platform can be accessed through mobile, tablet and desktop. What better way to make music accessible worldwide for free is though Spotify. Just a week before the formal launch in the Philippines, I was able to create my Spotify account via an access code (since the platform was only open to select countries) and the online experience is just amazing! The interface and features make music more enjoyable. You get to search for specific artists, genres and songs. If you don't have anything in mind because your music interests are just so vast, then you can just set it at random (shuffle). The things that you can do with music thru Spotify is just limitless. Gone were the days when you had to purchase a song before you can listen to it. At spotify, you can listen to millions of songs from all over the world at your fingertips -- for FREE! You can listen to whatever music you want, whenever you want, on any device. Spotify makes it easier than ever to discover, manage and share music with your friends. Offering amazing audio quality of up to 320kbps and with a brand new design, playing your favorite music never looked and felt this good. There are over 30 million songs available and updated daily, mixing global hits with one of the most extensive OPM catalogues available. You can also follow your friends and celebrities you admire for the music they listen to and for the tracks of the music artists. You can also organize the music you listen to. Download the Spotify app and listen to any song, album or artist, on any device, for free. Shuffle play on mobile or play any song on tablet or desktop. Upgrade to Spotify Premium for P129 per month and enjoy the ultimate music experience: download and listen to you music offline, fully on demand, without ads, in highest quality audio. Spotify has also teamed up with Globe Telecom as its exclusive telecommunications partner in the Philippines to offer all 38 million Globe Postpaid, Globe Prepaid and Tattoo-on-the-go Prepaid subscribers free access to Spotify through the telco’s new data plan, GoSURF. GoSURF gives customers mobile internet access together with Spotify for as low as P10 a day. Even better, streaming music on Spotify won’t touch your default data allowance across all GoSurf plans! Globe's GoSURF brings you FREE Spotify! This new program started on April 13. Globe Telecom Prepaid subscribers can register to GoSURF10, which gives access to both 10MB of dataplus Spotify for 24 hours. The beautiful panoramic view of Metro Manila from the 71st floor roofdeck of Gramercy. At the launch, some bands also played their music to the guests.